A split vote by the Pinal County Board of Supervisors approved a text change that will pave the way for a Casa Grande dairy to grow marijuana. Sidewinder Dairy, owned by Sean Dugan, is planning to cultivate marijuana for medical use. The issue divided politicians and farmers alike. “I’m a very strong supporter of farmers and their quest and freedom to grow the crops that they choose,” District 3 Supervisor Anthony Smith said. Smith requested two compromises to the proposed amendment before he, District 3 Supervisor Stephen Miller and District 5 Supervisor Todd House voted to approve the ordinance. The original proposal was for growing marijuana on 10 acres and to be reviewed after two years. As approved, the allowable acres-per-site was diminished to five acres, with the operation to be reviewed after one year. The proposal of Sidewinder Dairy as a marijuana cultivation site must come back before the board. The ordinance approved Wednesday allows the outdoor cultivation of medical marijuana with a special use permit and adds larger setbacks from residential areas. The county’s planning commission, on a 9-1 vote, had recommended denying the amendment. County Attorney Lando Voyles sent in a letter in opposition, as did Maricopa’s Peggy Chapados. During Wednesday’s meeting of the board, several residents spoke in opposition, and several others had their names entered in support. After the planning commission vote and a work session with the Board of Supervisors, county staff met with the Dugan family and their agents and came up with the third alternative for the requirements. Though the ordinance has countywide implications, the Rose Law Group, representing Sidewinder, played a major role in hammering out the details. The plan is for 10-foot walls. The growers would be required to give the sheriff’s office three-days notice of any harvest or transportation of the product. House, who engaged in a brusque exchange with Casa Grande Alliance Chairman Thomas Anderson, called it “a grand experiment” because marijuana cannot grow well above 80 degrees. “Whether you like it or not, medical marijuana has been voted on and is the law of the land,” House said. He said those who worry about the impact on children should classify potatoes as a drug because of obesity issues from eating french fries. Both sides produced petitions with signatures representing hundreds of people. District 1 Supervisor Pete Rios, who ended up voting against the amendment along with Chairperson Cheryl Chase, also said public sentiment had swung in favor of medical marijuana. She said the issue initially was about allowing 217 times greater than state statute required as a maximum, going from an enclosed building to a 10-acre farm. “Don’t try to push that back on the voters,” she said. Chapados said the board had more research and vetting to do on the issue. Stay Vigilant. It is only the voter who will suffer if we don’t. The following is from Seeing Red AZ 02/19/15 Keep a close eye, folks. It doesn’t look good. Joni Ernst, the newly elected Republican U.S. Senator from Iowa blew into office with an impressive record. A former state senator, she campaigned as a conservative and won praise for her service as a company commander in Kuwait and Iraq. She soundly defeated an incumbent Democrat Congressman running for the senate seat. Now we find her name oddly linked with John McCain’s for a swank Phoenician resort fundraiser to benefit McCain’s 2016 reelection campaign. Right up there with wife Cindy are freshman U.S. Rep. Martha McSally (R-CD2), Cheryl Flake, and the previously unknown in political circles, Angela Ducey —- wife of Arizona’s newly elected governor Doug Ducey —- a McCain and Flake confidant. The men stumped the state together in the final hours prior to Election Day ginning up votes for Ducey. “We’ve go a lead, but we can’t take that for granted,” McCain said. His possessive words indicated a strange ownership role. For those keeping track, just a few more dots to connect. 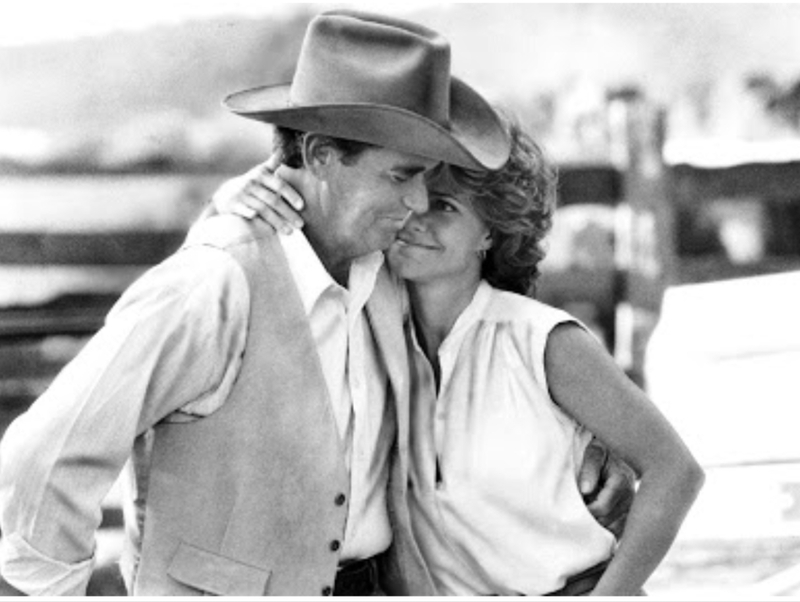 James Garner and Sally Field in “Murphy’s Law,” filmed in 1985 in Florence, Ariz. The Arizona Republic has been running a series in its local editions of “Ultimate Bucket List Things To Do” in various cities in Maricopa County. Here’s our’s for Pinal County. Check with the Maricopa Chamber of Commerce to find out how you can see a bedroom of a home in the city where a scene from “50 Shades of Grey” was filmed. See the empty immigrant detention cells at the Pinal County Jail. Take in Picacho Peak, where Navy Seal snipers train. Travel to the Lost Dutchman’s Gold Mine with some mining equipment, then tell your friends you dug up some nuggets. 9. Visit the proposed site of the Union Pacific Red Rock railyard and listen to the crickets. Check out the drone farm at Pinal Air Park. Visit the cotton field near Casa Grande which is growing red and navy blue plants used for U of A football uniforms. See the Casa Grande Ruins and ask the tour guide if Brian Williams was there during construction. In a press release from Douglas’ office following Ducey’s claim on Thursday that Douglas acted illegally when she fired two Arizona State Board of Education administrators the day before, Douglas shot back that the Governor is colluding with proponents of Common Core and “his corporate cronies” to undermine her campaign to abandon the controversial education initiative in Arizona. It is no surprise that his office supports retaining two liberal staff who have publicly stated they will block all efforts to repeal or change Common Core and backs the newly elected President of the Board of Education who is a charter school operator and stands to profit from the Governor’s policy of pushing through AzMerit to lower school scores so that more students can be removed to charter schools. I swore to uphold the Constitution and the laws of the State of Arizona with my hand upon the Bible. I take that oath very seriously and will continue to do so. I also promised the voters of the state to replace Common Core and will not falter in my best efforts to keep my promise, regardless of whether the Governor honors his campaign rhetoric to do the same. As AZCentral reported, Douglas terminated Board of Education Executive Director Christine Thompson and Assistant Executive Director Sabrina Vazquez. Rebecca Gau, director of the pro-Common Core lobbying group Stand for Children Arizona charged that Douglas’ move was “political” because the state superintendent has not been happy with the Board of Education’s continued work on the state’s new standardized assessment, known as AzMERIT, which is aligned to the Arizona College and Career Standards – a “rebrand” of the Common Core standards. In her January 21 State of Education address, Douglas stayed true to her campaign pledge to eliminate Common Core by criticizing the standards in her state that are, in fact, the Common Core–just renamed with a “local flavor” title. “Our Arizona state standards were discarded and replaced with the unproven Common Core standards,” Douglas said in her address before the state’s House Education Committee, according to cronkitenewsonline.com. As Breitbart News reported in February of 2014, the notion of simply “rebranding” or renaming the Common Core standards to draw attention away from their increasing unpopularity was advertised by former Arkansas Gov. Mike Huckabee (R). Similarly, the Common Core standards have been rebranded in states such as Iowa, Florida, and Indiana. The AzMERIT will be taken by about one million third through eleventh-graders in the state. Douglas said the poor quality of education in Arizona (ranked 47th in the nation) must be dealt with in a different “collaborative” way. Board of Education President Greg Miller expressed “surprise” at Douglas’ dismissals and that the state education department would be involved in firing Board of Education staff. Arizona law states the schools chief may “direct the work of all employees of the board who shall be employees of the department of education” and “direct the performance of executive, administrative or ministerial functions by the department of education or divisions or employees thereof. Soon after Douglas’ election in November, a PAC was organized to oust her. Maxwell Goshert, treasurer of the Coalition to Recall Diane Douglas, said he predicted the group would ultimately achieve a recall of Douglas within a year. Additionally, Ducey included in his new education subcommittee Matthew Ladner, a close associate of Common Core champion Jeb Bush. (Deputy National Security Advisor) John Brennan also ran a highly compartmentalized program out of the White House in regard to weapons transfers, and Stevens would not have been trusted with that type of information. Stevens likely helped consolidate as many weapons as possible after the war to safeguard them, at which point Brennan exported them overseas to start another conflict. …From the Annex in Benghazi, the CIA was collecting intelligence about foreign entities that were themselves collecting weapons in Libya and facilitating their passage to Syria. The Benghazi Annex was not itself collecting weapons. One thing that can be certain is that after the removal of Muammar Gadhafi in 2011, weapons in Libya were being rounded up and shipped to Syria’s rebels. These logistics constitute transitioning from the end of one operation – regime change in Libya – and the beginning of another – regime change in Syria. Thanks to an explosive three-part series published by the Washington Times, replete with substantiated audio recordings, readers get to see how the weapons got into Libya in the first place and who supported it. The reports included a 16-page list of weapons that Libyans supposedly tracked to the rebels from Western sources or their allies in the region. The memos were corroborated by a U.S. intelligence asset familiar with the documents as well as former top Gadhafi regime official Mohammed Ismael. “NATO has given permission to a number of weapons-loaded aircraft to land at Benghazi airport and some Tunisian airports,” the intelligence report said, identifying masses of weapons including tanks and surface-to-air missiles. In a separate conversation with Dennis J. Kucinich, an Ohio Democrat serving in the House, Gadhafi’s eldest son, Seif, told the congressman that Libyan intelligence had observed Qatar, a major U.S. ally in the region, facilitating weapons shipments. Qatar has steadfastly and repeatedly denied arming the rebels. “The Qataris have spent more than $100 million on this, and they have an agreement with the rebels that the moment you rule Libya you pay us back,” Seif Gadhafi told Mr. Kucinich in a conversation recorded in May 2011. Such a stance by Kucinich – who resisted calls for regime change in Libya – was both welcome and rare. In 2003, he rubbed elbows with Bassam Estwani, chairman of the notorious hornets’ nest for Muslim Brotherhood-inspired terrorism, the Dar al-Hijrah mosque, as Shoebat.com reported. Estwani sits on the Board of the Syrian Emergency Task Force (SETF), which seeks the removal of Bashar al-Assad. The Executive Director of SETF is a man named Mouaz Moustafa, who previously served in the same capacity on the Libyan Emergency Task Force (LETF), as Shoebat.com also reported. Moustafa and McCain are quite familiar with one another, as are Estwani and Moustafa. “On 15th of March the ship loaded with arm[s] arrived to the seaport of Tobruk. On 4th April 2011 two Qatari aircraft laden with a number of tanks, [ground-attack] missiles and heavy trucks was arranged. On 11th April 2011 a number of boats departed Benghazi for Misrata, the shipment comprised assistance including SAM-7 [anti-aircraft] missiles. On 22nd April 2011,800 rifles were sent from Benghazi to Misrata,” the report said. Little more than one year later and just 90 days before the Benghazi attacks, Rep. Michele Bachmann (R-MN) sent a letter to the Inspector’s General office of the State Department. In that letter, Bachmann raised legitimate concerns about the Muslim Brotherhood connections of very close Hillary Clinton adviser Huma Abedin. It was John McCain who further implicated himself in the rise of the Muslim Brotherhood by defending Abedin and denouncing Bachmann, as Shoebat.com has reported.